Biscogniauxia nummularia is a xylariaceous fungus known as a common endophyte of European beech, living in plant tissues without development of symptoms, or even inducing strip-cankers and wood decay on trees stressed by drought. We studied the presence of the fungus in apparently healthy beech trees, growing in two different bioclimatic zones characterized by Continental and Mediterranean climates. Asymptomatic twigs were collected in each zone over the season and evaluated for the presence of B. nummularia infections using both cultural and qPCR methods. Results from qPCR indicated differences in the detection of B. nummularia among the seasons and between the study sites. In both sites the highest frequency of detection was in summer. B. nummularia was more frequently detected in the Mediterranean bioclimatic area, where drought is more common. These results suggest that B. nummularia may be a possible bioindicator of beech health stands. Endophytic fungi in Norway spruce - possible use in bioindicator of vitality. Aquilo Serier Botanicae 19: 228-232. Latent colonization and pathogenicity of Hypoxylon atropunctatum on oaks. Plant Disease 68: 317-319. 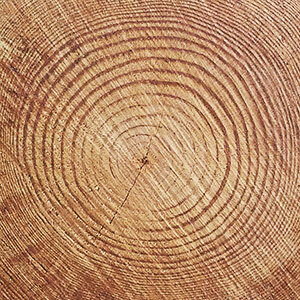 Climatic signals in tree-rings of Fagus sylvatica L. from the central Apennines, Italy. Acta Oecologica 14: 57-71. Phylogenic diversity of fungal endophytes in Spanish stands of Pinus halepensis. Fungal Diversity 47: 9-18. Biochemical and biophysical aspects of water deficits and the predisposition to disease. Annual Review of Phytopathology 33: 251-274. Impact, control and management of Heterobasidion annosum. Italy. In: “Heterobasidion annosum: Biology, Ecology, Impact and Control” (Woodward S, Stenlid J, Karjalainen R, Hüttermann A eds). CAB International, Wallingford, UK, pp. 377-385. Water stress and insect defoliation promote the colonization of Quercus cerris by the fungus Biscogniauxia mediterranea. Forest Pathology 37:129-135. Root rot disease by Heterobasidion annosum on Fagus sylvatica stands in southern Italy. Journal of Plant Pathology 89: 34-34. Detection, identification and quantification of latent needlecast pathogens and endophytee in symptomless conifer foliage by PCR and Dot-Blot assays. In: Proceedings of the “IUFRO Working Party 7.02.02 - Shoot and Foliage Diseases”. Hyytiala (Finland) 17-22 Jun 2001. Finnish Forest Research Institute Research Papers, Joensuu, Finland, vol. 829, pp. 164-168. Structure and diversity of “pathogenic” and “non-pathogenic” fungal endophyte community of Fagus sylvatica in the Mediterranean Basin. Ph.D. Thesis, Università degli Studi della Tuscia, Viterbo, Italy, pp. 101. Climate change and disease management. Annual Review of Phytopathology 37: 399-426. Leaf and root-associated fungal assemblages do not follow similar elevational diversity patterns. PLoS One 9 (6): e100668. Geographical and seasonal influences on the distribution of fungal endophytes in Quercus ilex. New Phytologist 144: 525-532. The composition of phyllosphere fungal assemblages of European beech (Fagus sylvatica) varies significantly along an elevation gradient. New Phytologist 196: 510-509. Tests for departure from normality. Empirical results for the distributions of b2 and √b1. Biometrika 60: 613-622. Interactive effects of drought and pathogens in forest trees. Annals of Forest Science 63: 597-612. Observation on the beech woodlands of the Apennines (peninsular Italy): an intricate biogeographical and syntaxonomical issue. Lazaroa 30: 89-97. Host shifts in fungi caused by climate change? Fungal Ecology 4: 184-190. Ruolo dei parametri ambientali e di Biscogniauxia nummularia nella formazione di necromassa in un ceduo di faggio dell’Appenino Pistoiese. [Role of environmental parameters and Biscogniauxia nummularia in the formation of deadwood in a beech coppice in the Apennines (Pistoia)]. M.Sc. thesis in Environmental and Forest Science, University of Florence, Italy, pp. 37. Biscogniauxia nummularia: pathogenic agent of a beech decline. Forest Pathology 34: 363-367. Decline of beech associated to Biscogniauxia nummularia in Italy. Petria 4: 111-116. The climate environment of the “CASCADE” sites. EU Project EVK2-CT-1999-00006 II Report, CNRS-CEFE, Montpellier, France, pp. 70. Isolation procedures for endophytic microorganisms. In: “Microbial Root Endophytes” (Schulz B, Boyle CJC, Sieber TN eds). Soil Biology Series (vol. 9), Springer-Verlag, Berlin, Heidelberg, Germany, pp. 299-319. Effects of summer temperature on fungal endophyte assemblages in Japanese beech (Fagus crenata) leaves in pure beech stands. Botany 88: 266-274. Responses of pine needle endophytes to air pollution. New Phytologist 131: 223-229. Strip-cankering of beech (Fagus sylvatica): pathology and distribution of symptomatic trees. New Phytologist 140: 549-565. Climate change 2007: impacts, adaptation and vulnerability. Contribution of working group II to the fourth assessment report of the intergovernmental panel on climate change (Parry ML, Canziani OF, Palutikof JP, Van Der Linden PJ, Hanson CE eds). Cambridge University Press, Cambridge, UK, pp. 976. Drought effects on damage by forest insects and pathogens: a meta-analysis. Global Change Biology 18: 267-276. Epiphytic lichens as biomonitors of atmospheric pollution in Slovenian forests. Environmental Pollution. 146: 324-331. Cost-efficiency of decaying wood as a surrogate for overall species richness in boreal forests. Conservation Biology 20: 74-84. First reported outbreak of charcoal disease caused by Biscogniauxia mediterranea on Turkey oak in Slovenia. Plant Pathology 55 (2): 299-299. Stand fine root biomass and fine root morphology in old-growth beech forests as a function of precipitation and soil fertility. Plant and Soil 258: 43-56. Early infection of Fagus sylvatica by Heterobasidion annosum sensu stricto. Forest Pathology 38: 314-319. Endophytic fungi of Manilkara bidentata leaves in Puerto Rico. Mycologia 88: 733-738. Epiphytic lichens as sentinels for heavy metal pollution at forest ecosystems (central Italy). Environmental Pollution 121: 327-332. Real-time PCR detection of Biscogniauxia mediterranea in symptomless oak tissue. Letters in Applied Microbiology 41:61-68. Early detection of Biscogniauxia nummularia in symptomless European beech (Fagus sylvatica L.) by TaqMan™ real-time PCR. Letters in Applied Microbiology 43: 33-38. Epiphytic macrolichen community correlates with modelled air pollutants and forest conditions. Ecological Indicators 9: 992-1000. Detection of Diplodia pinea in asymptomatic pine shoots and its relation to the Normalized Insolation index. Forest Pathology 37: 272-280. Fungal endophytes in Mediterranean oak forests: a lesson from Discula quercina. Phytopathology 98: 380-386. Phenology and diameter increment in seedlings of European beech (Fagus sylvatica L.) as affected by different soil water contents: variation between and within provenances. Forest Ecology and Management 174: 233-249. Biscogniauxia: a genus of latent invaders. Mycologist 19: 40-43. Development of an efficient real-time quantitative PCR protocol for detection of Xanthomonas arboricola pv. pruni in Prunus species. Applied and Environmental Microbiology 77: 89-97. Pre- and post-inoculation water stress affects Sphaeropsis sapinea canker length in Pinus halepensis seedlings. Forest Pathology 31: 209-218. Migration, invasion and decline: changes in recruitment and forest structure in a warming-linked shift of European beech forest in Catalonia (NE Spain). Ecography 30, 829-837. Masting behavior in beech: linking reproduction and climatic variation. Canadian Journal of Botany 79: 1039-1047. Spatial and altitudinal bioclimatic zones of the Italian peninsula identified from a beech (Fagus sylvatica L.) tree-ring network. Acta Oecologica 27: 197-210. Effect of water stress on infection by species of honey fungus (Armillaria mellea and A. gallica). Arboricultural Journal 27: 139-154. Endophyte communities vary in the needles of Norway spruce clones. Fungal Biology 117: 182-90. Presence of fungi in Scots pine needles found to correlate with air quality as measured by bioindicators in northern Spain. Forest Pathology 42: 443-453. Predisposition, stress, and plant disease. Annual Review of Phytopathology 13: 193-211. Symptoms as bioindicators of decline in European forests. In: “Committee on Biologic Markers of Air-Pollution Damage in Trees”. National Research Council, National Academy Press, Washington DC, USA, pp. 119-124. Endophytic fungi in forest trees: are they mutualists? Fungal Biology Review 21: 75-89. Impacts of climate change on biodiversity, ecosystems, and ecosystem services: technical input to the 2013 National climate assessment. Cooperative Report to the 2013 National Climate Assessment, Palo Alto, CA, USA, pp. 296. Species richness, abundance, and phenology of fungal fruit bodies over 21 years in a Swiss forest plot. Mycological Research 105: 515-523. Response of endophytic Biscogniauxia mediterranea to variation in leaf water potential of Quercus cerris. Forest Pathology 39: 8-14. Water stress: a predisposing factor in the pathogenesis of Hypoxylon mediterraneum on Quercus cerris. European Journal of Forest Pathology 21: 193-201. First report of Phytophthora cactorum associated with beech decline in Italy. Plant Disease 92: 1708. Armillaria mellea and mortality of beech affected by beech bark disease. In: Proceedings of the “IUFRO Beech Bark Disease Working Party Conference”. Hamden (CT, USA) Sep 26-Oct 8 1982. Gen. Tech. Rep. WO-37, Northeastern Forest Experiment Station, USDA Forest Service, Washington, DC, USA, pp. 81-88. Drought response and changing mean sensitivity of European beech close to the dry distribution limit. Trees 27: 171-181. Fungal endophyte communities reflect environmental structuring across a Hawaiian landscape. Proceedings of the National Academy of Science USA 109: 13022-13027.